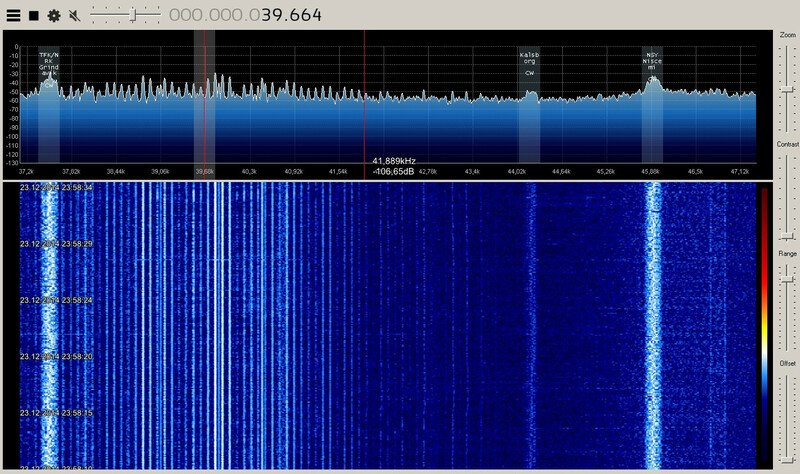 Thanks to DE8MSH for writing in about his project that involves using a Raspberry Pi 3 and cheap 7€ USB sound card connected to an old Grahn GS1 VLF antenna to detect the SAQ VLF station. 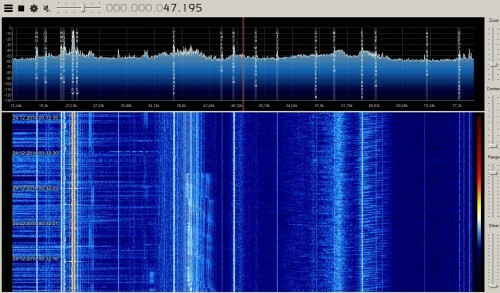 Standard PC or USB sound cards can be used as a narrowband VLF capable SDR simply by connecting an antenna to the sound inputs. SAQ (aka Grimeton Radio Station) is a heritage VLF transmitter in Sweden that transmits CW at 17.2 kHz, normally only on Alexanderson Day and Christmas Day, but can sometimes unofficially transmit without announcement due to maintenance, training or local events. In terms of software running on the Pi 3 DE8MSH uses Spectrum Laboratory (speclab) to monitor the sound card waterfall, and has written a Python script that uploads the processed images from speclab to a Twitter account every 20 minutes. This way he hopes to be able to detect any unannounced SAQ transmissions from his station in Sweden. Spectrum Laboratory is actually a Windows and x86 only program, however as shown in one of our previous posts, it is possible to use a special compatibility emulator called Exagear which allows you to run x86 programs on ARM hardware. Together with Wine you can then run x86 Windows programs on single board computers like the Raspberry Pi 3 which run Linux on ARM hardware. 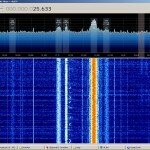 60 kHz Time signal from NPL is a radio signal broadcast from the Anthorn Radio Station near Anthorn, UK. The signal, also known as the MSF signal is broadcast at a highly accurate frequency of 60 kHz and can be received throughout the UK, and in much of northern and western Europe. 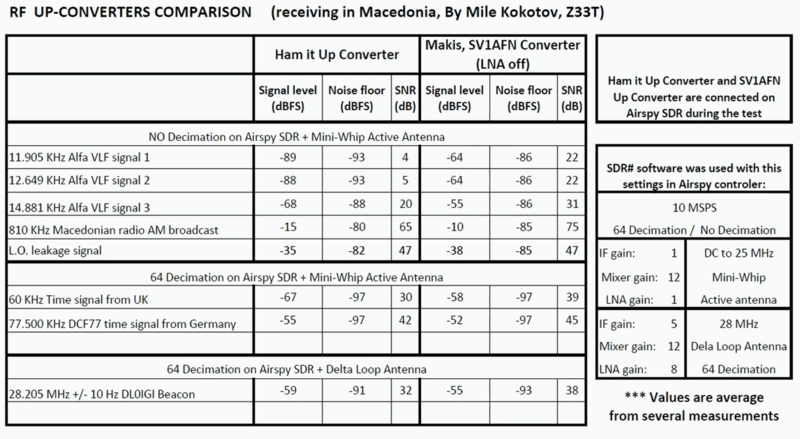 (But I am receiving it in Macedonia) The signal’s carrier frequency is maintained at 60 kHz controlled by caesium atomic clocks at the radio station. 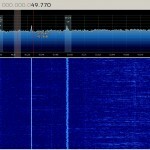 77.5 kHz Time signal is German DCF77 longwave time signal and standard-frequency radio station. 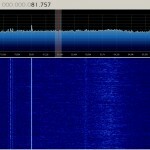 The highly accurate 77.5 kHz carrier signal is generated from local atomic clocks that are linked with the German master clocks. 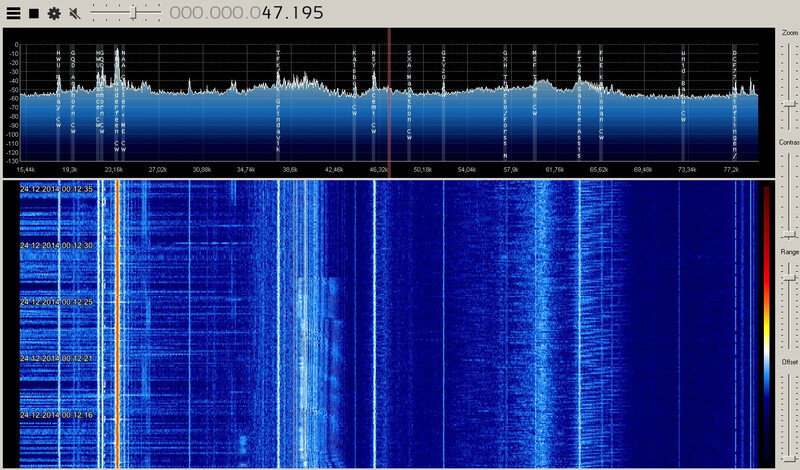 On AM Broadcast Band (530 kHz – 1620 kHz) you can see how many AM stations are on the spectrum display (with 9 kHz raster) receiving here at my home with Mini-Whip antenna which is only 10 cm long! The first video shows reception with a Mini-Whip, and the second with a Delta Loop. We don’t see much difference in reception between the RSP1 and RSP2 in these videos but viewers with more sensitive ears may be able to tell us if they notice any differences. 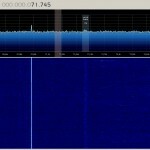 Over on YouTube user Mile Kokotov has uploaded a video showing his reception of the SAQ very low frequency (VLF) signal. The SAQ transmitter is based in Grimeton, Sweden and transmits at 17.2 kHz, which is well below the frequency of most radio communications. SAQ only transmits its beacon on certain days, and last Sunday July 3rd 2016 the SAQ beacon activated to celebrate Alexanderson day, which is named after Swedish radio pioneer Ernst Frederick Werner Alexanderson. “SAQ”- Radio Station at Grimeton is a VLF transmission facility at Grimeton, Sweden. It has the only working Alexanderson alternator rotating armature radio transmitter in the world and is classified as a World Heritage Site. The transmitter was built in 1922 to 1924 to operate at 17.2 kHz. The antenna is a 1.9 km wire aerial consisting of eight horizontal wires suspended on six 127-metre high freestanding steel pylons in a line, that function as a capacitive top-load to feed energy to six grounded vertical wire radiating elements. 1. 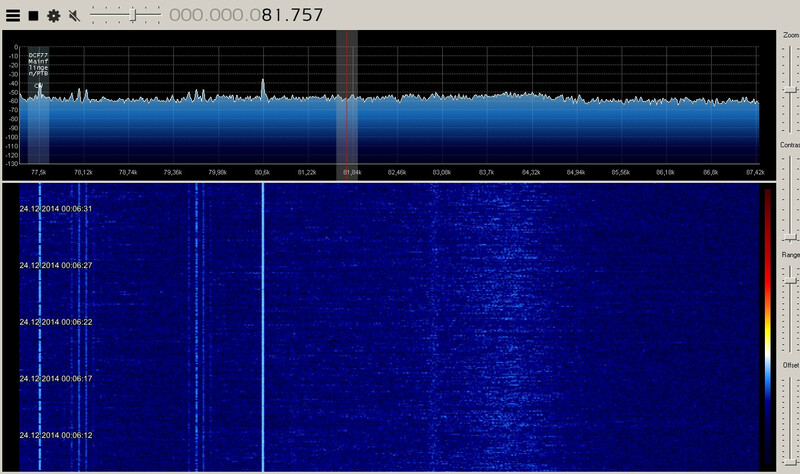 AIRSPY R2 – SDR + Spyverter and SDRsharp software. 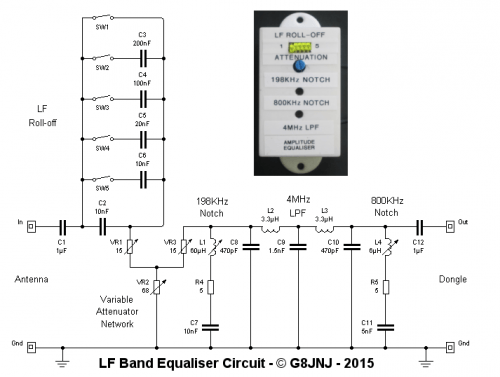 The LPF filter (fc=535 kHz) is used also. Over on his web site, Martin (G8JNJ) has uploaded a new article discussing how to optimize reception of VLF (<10 kHz) signals on a direct sampling modified RTL-SDR. 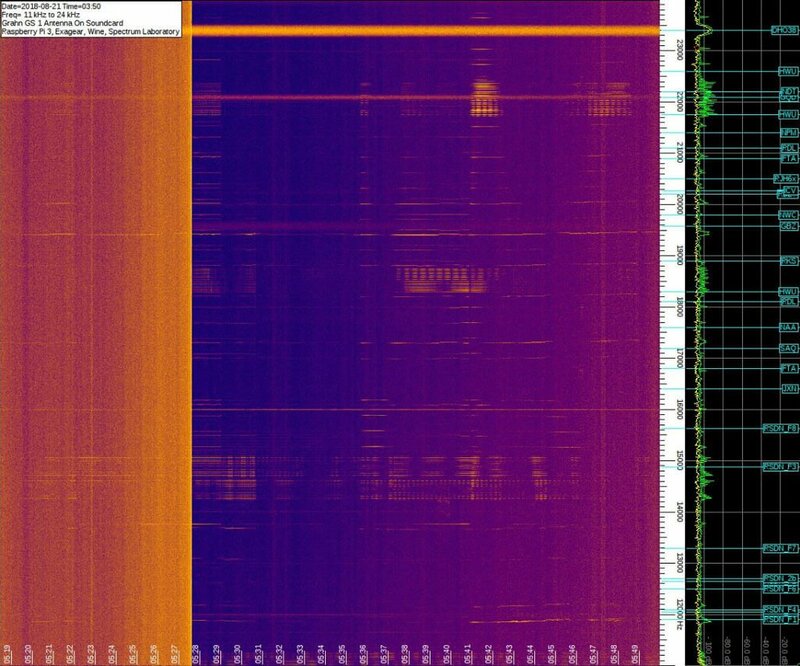 He writes that the main problem with the RTL-SDR receiving VLF frequencies is that there is significant overloading caused by broadcast stations operating on the LF and MF bands. His screenshot results show that his filters work well and significantly reduce the effect of lightning pulse noise at 9 kHz. With the filters in place and properly optimized with the attenuator and various switches, he is able to receive Russian Alpha navigation signals at frequencies around 12 and 14 kHz and the 300 to 500 kHz aeronautical and maritime navigation bands. Over on YouTube user Mile Kokotov has uploaded a video showing a comparison between the ham-it-up and SV1AFN upconverters. 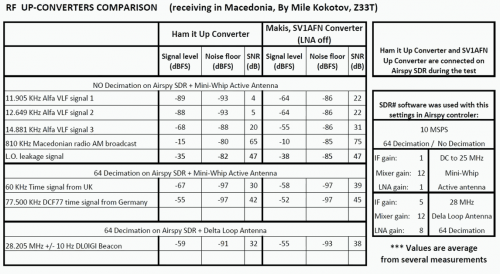 An upconverter allows reception of VLF to HF signals with SDR dongles such as the Airpsy and RTL-SDR. Mile shows that both the ham-it-up and SV1AFN upconverters use the same core component, a double balanced mixer ADE-1. However, the ham-it-up comes with the option for a noise circuit to be populated. 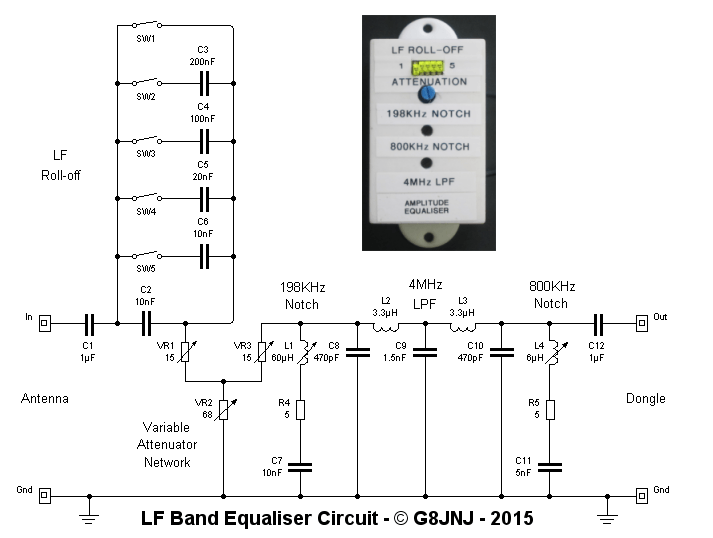 A noise circuit is useful if you want to measure the response of a filter or antenna for example. With the ham-it-up the noise source components are sold seperately and need to be carefully soldered on. On the other hand the SV1AFN upconverter comes with a built in selectable LNA and better filtering circuitry. The SV1AFN upconverter also uses the ADE-1 in a slightly different design compared to the ham-it-up which allows for much improved performance at VLF frequencies. 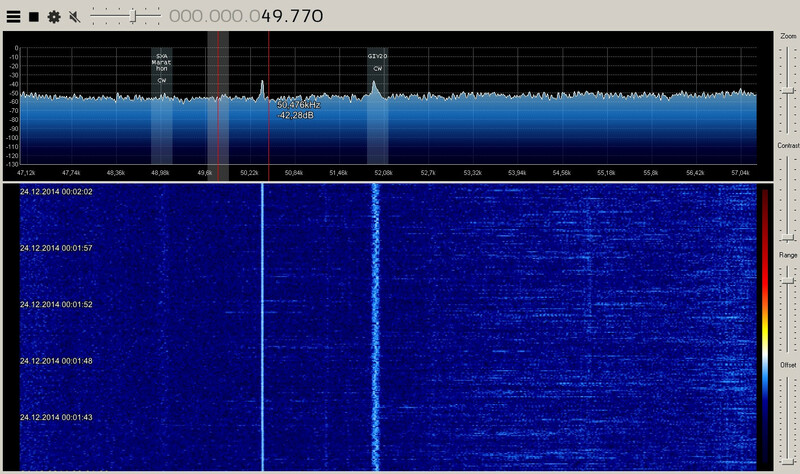 In the results Mile uses his Airspy and shows that the SV1AFN upconverter is significantly better at receiving VLF frequencies, and also better at receiving a 28.205 MHz beacon. The results are summarized in the table captured from the video shown in the image below. In the second video Mile also compares the local oscillator drift of each upconverter. 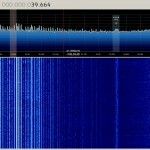 Over on YouTube user Mile Kokotov has uploaded a video showing how he is able to receive Very Low Frequency (VLF) signals between 300 Hz to 30 kHz using just his PC, a Miniwhip antenna connected to his sound card input port and a program called SAQrx Panoramic VLF Receiver. This allows reception of signals between 0-48 kHz with a sound card that can sample at 96 kHz. Using this set up he is able to receive the Alpha navigation system beacons which are at around 10-12 kHz and some other Navy navigation system beacons between 18 and 48 kHz from his home in Macedonia. Recently amateur radio hobbyist DE8MSH wrote in to let us know about how he was able to receive VLF (Very Low Frequency) signals using a very rare Refcom FC-VLF upconverter and his direct sampling modified RTL-SDR. His antenna is the PA0RDT mini whip which requires 12v of power that is delivered directly by the Refcom FC-VLF. He writes that the Refcom upconverter is used to upconvert the 9 to 50 kHz range into the 14.009 to 14.050 MHz range which is receivable by a direct sampling modified RTL-SDR. Using this set up he was able to receive several VLF stations as shown on the waterfall image below. Note that I’m not living in a quiet area. As you can see there is a lot of men made noise like from tv sets, lights bulbs etc. pp. 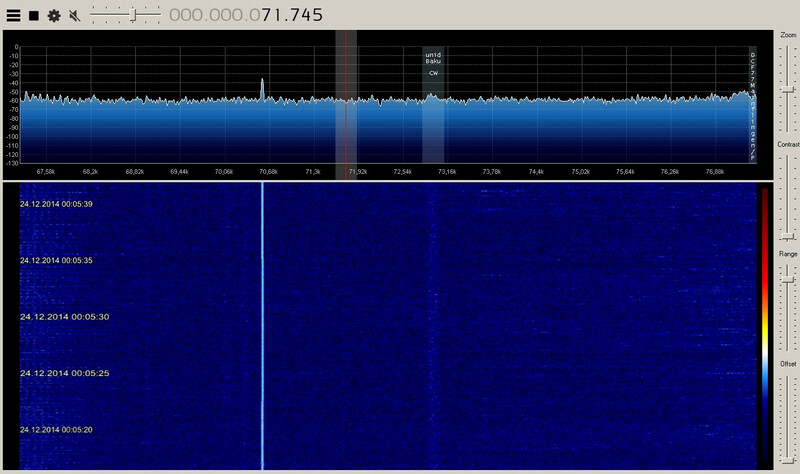 Some signals are not very strong becaus I switched the Refcom to 9-50kHz filter. 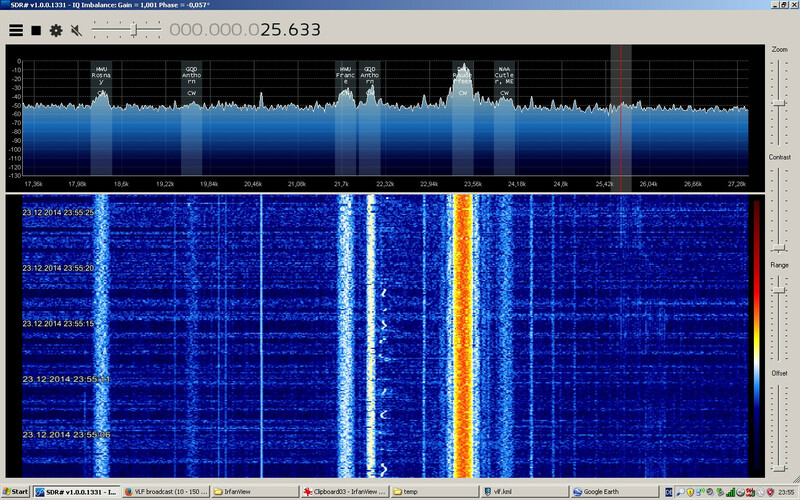 So some stations above 50kHz could be stronger. Below are some close up shots of VLF signals being received.